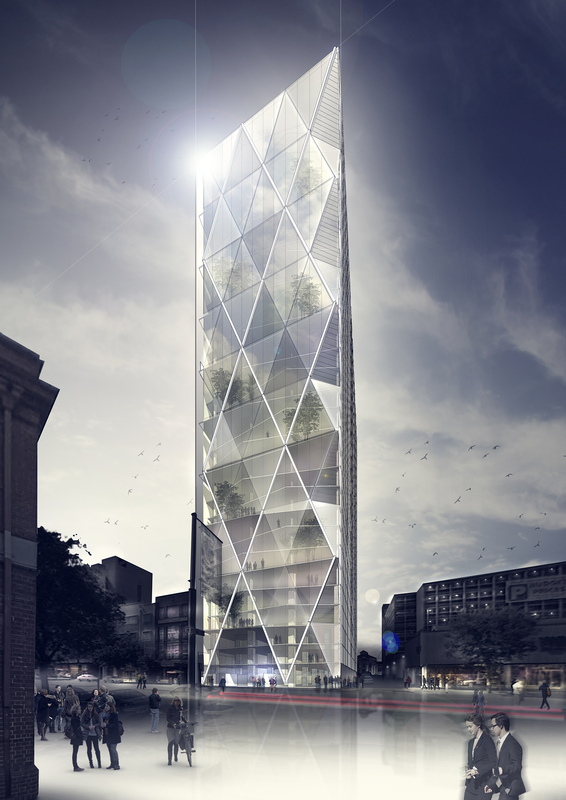 Our tower concept for local developer uses expressed structure and winter gardens to activate the street frontage. Expressed diagonal structural bracing on the northern façade celebrates the structure as an visual element presenting an engaging aspect to the street. Behind this triangulated veil is a winter garden space – defined in the zone between the structural columns and the structural bracing of the northern façade. These 3 storey atrium spaces create opportunity for visual and physical inter-floor connectivity – alternating atrium balcony geometries introduce a dynamic interplay of cantilevered floors and light filled voids.